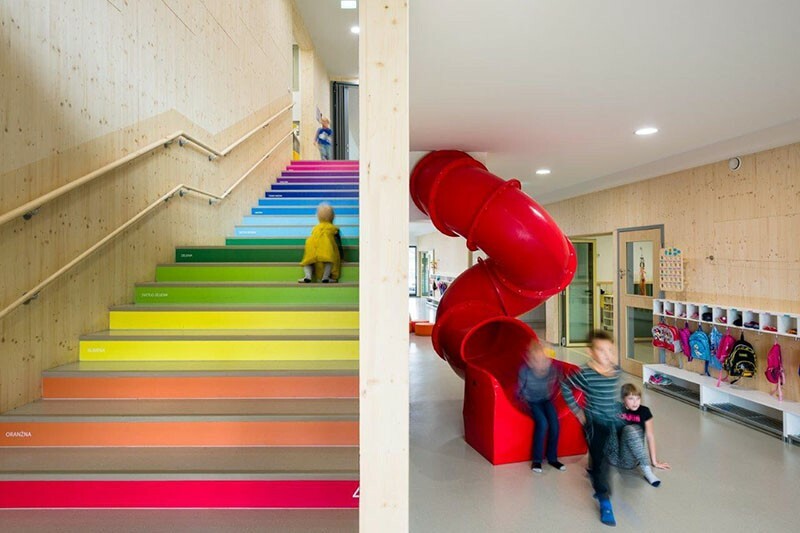 This kindergarten in Slovenia, designed by Jure Kotnik Architecture, has a staircase where they put a number on each stair, as a subtle way to encourage self-learning. Because kids have little legs, they pay attention to each stair they climb, and by placing the numbers on each stair, it gets them counting in their heads or even out loud. 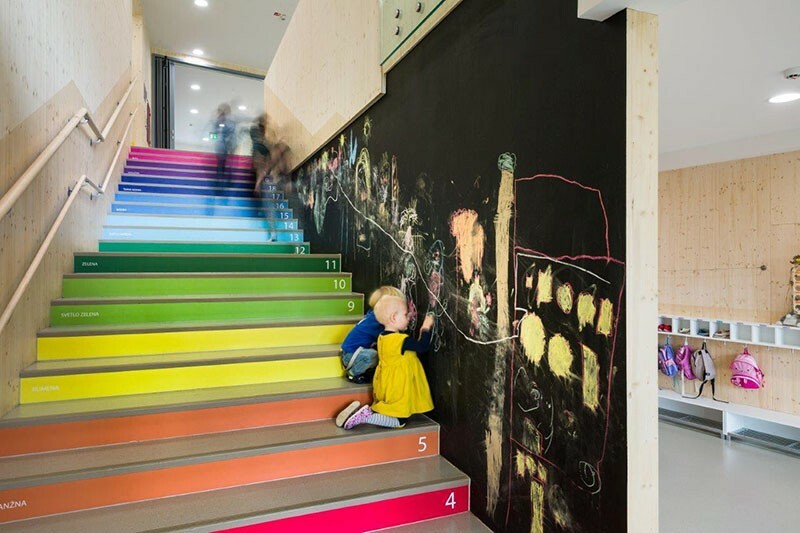 The stairs are also a rainbow of colors, with the names of each color on the stairs, to help the children learn about different colors. 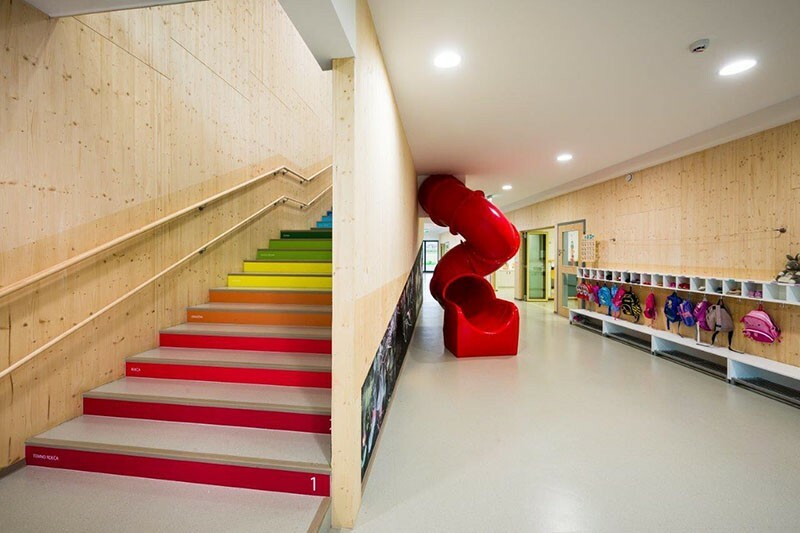 The kindergarten also has a red slide that goes from the second floor to the first floor. 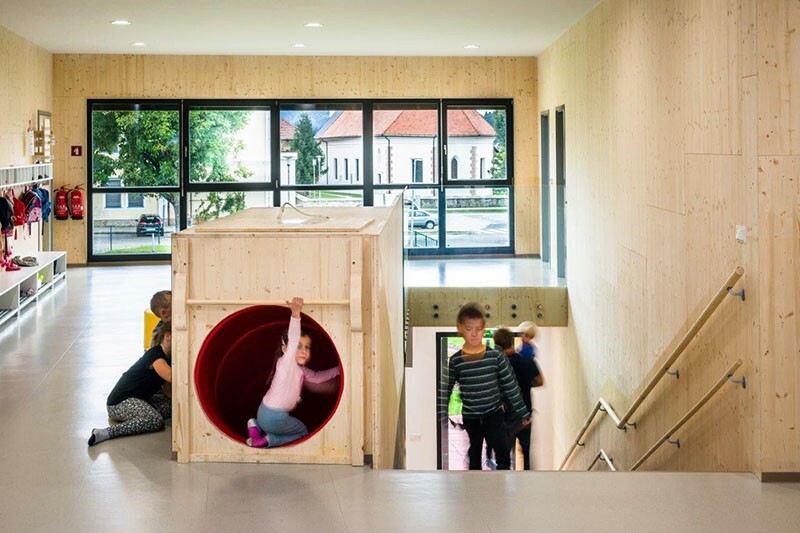 This of course is irresistible to children, so they end up climbing the stairs many times a day, which keeps them active, and puts those numbers in front of them every time they do.